We are an Australian company that sells high quality synthetic professional makeup brushes and accessories that are stylish, functional, and most importantly, they are all fur-free. 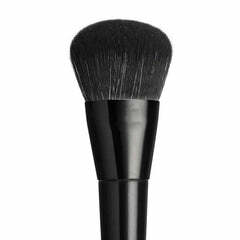 Our wide range of cruelty free single brushes, brush sets, brush rolls and cases are all vegan friendly, and vary in price to suit the student, the makeup junkie or the professional makeup artist. Here at Furless we believe that there is absolutely no need to use animal hair in makeup brushes. Check out our Why Choose Furless? page and find out why Furless brushes are superior to fur. We believe that cruelty for the sake of art or vanity just ain't cool. Furless also has a passion for boosting women's self esteem, and questioning what we are told by the media about body image, by showcasing the beautiful strong side of being female. Take a look at our Mind Image Blog where you will find articles about women achieving great things based on their merits, not just their looks. We are always adding to our product range at Furless - sign up for our newsletter at the bottom of the site to get the latest news, promotions and discounts, or check back to see what we are up to. Furless is proud to be acknowledged and accredited by organisations who promote consumer awareness and consumer choice. We thank these generous people for their relentless hard work and compassion! Furless is accredited vegan and cruelty free by Choose Cruelty Free.